From the hardwood to Hollywood, you will now be able to see LeBron James both on and off the court on your big screen. 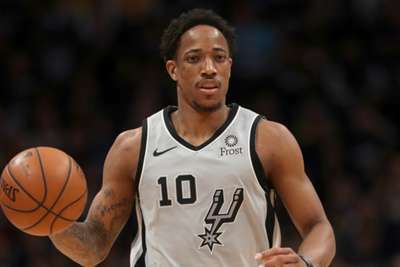 Los Angeles Lakers recruit James just finished filming the first episode of his new HBO series, "The Shop," which was recorded last week at West Hollywood's Barber Surgeons Guild in LA. The first episode of the unscripted barbershop-set show will air on August 28, HBO announced on Thursday. 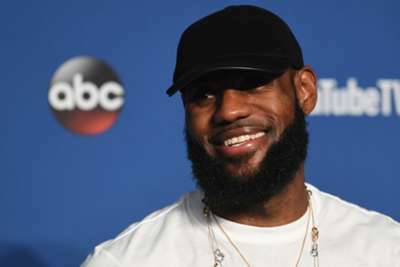 In an exclusive interview with The Hollywood Reporter, three-time NBA champion and four-time MVP James said: "This show is real, it’s candid and it’s the essence of conversation, and we know with social media and text being the way people communicate, the form of conversation, actually talking, is kind of lost art." The first episode features a number of high-profile celebrities from sports, music and politics, including Snoop Dogg, Maverick Carter, New York Giants star Odell Beckham Jr., Golden State Warriors rival Draymond Green and Jon Stewart. Each episode will be 30 minutes long and speak to the true essence of sitting in a barber's chair, James said. "When I was a kid, being in barbershops meant listening to adults talk about sports, clothing, politics, music, everything happened in the shop," the 33-year-old added. "It was so real and so candid; no one had a sense of, 'well I can't be myself here.' That's how 'The Shop' became an idea." The show is in partnership with Uninterrupted, a multimedia platform created by James for athletes that received a $15.8million investment from Warner Bros. and Turner Sports in 2015. HBO Sports — which recently aired "Being Serena," a five-part documentary series following the tennis star from her wedding all the way to the French Open — is hoping "The Shop" can continue to help with its efforts of broadening its sports programming. "Sports for us is really about a lens into socioeconomic, political, cultural issues and ideas around virtuosity in competition," HBO Sports executive VP Peter Nelson said. "We'll do it as frequently as the conversation warrants," Nelson added. "It's LeBron's baby, so he very much wants to do it. And he wants to do it as much as possible." James will be appearing in the first three episodes with the scheduling remaining somewhat uncertain because of his transition with the Lakers.